NASA's Tracking and Data Relay Satellite (TDRS) network allows it maintain unprecedented contact with satellites in low earth orbit. ISS and other satellites send and recieve their signals up to the geosynchronous orbiting TDRS's, which are in view almost continually, rather than down to ground tracking stations which are in range only briefly. The importance of this capability is illustrated by Russia's failed Phobos Grunt Mars probe. The only signal controllers received from it was one orbit after launch as it passed over Russian ground stations. The critical burns to send it to Mars were to take place over South America, completely out of communication with ground stations. Russia has almost no data on the crafts failure because of a lack of communication. "NASA has elected to exercise the first of two available contract options for procurement of an additional Tracking Data Relay Satellite (TDRS) from Boeing Satellite Systems, Inc. of El Segundo, Calif. The estimated value of the contract option is $289 million and extends the period of performance through April 2024. Exercising the option will allow Boeing Satellite Systems to retain at least 300 American jobs. The TDRS-K Program contract, awarded in December 2007, is a fixed-price incentive contract that directs Boeing Satellite Systems to design, develop, fabricate, integrate, test, ship, provide launch support, conduct in-orbit checkout operations and provide sustaining engineering support for two TDRS spacecraft, TDRS-K and TDRS-L. The original contract included options for two additional spacecraft (TDRS-M and TDRS-N). 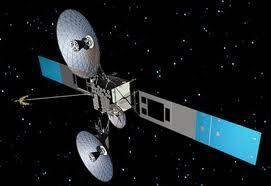 This action exercises the option for TDRS-M. "